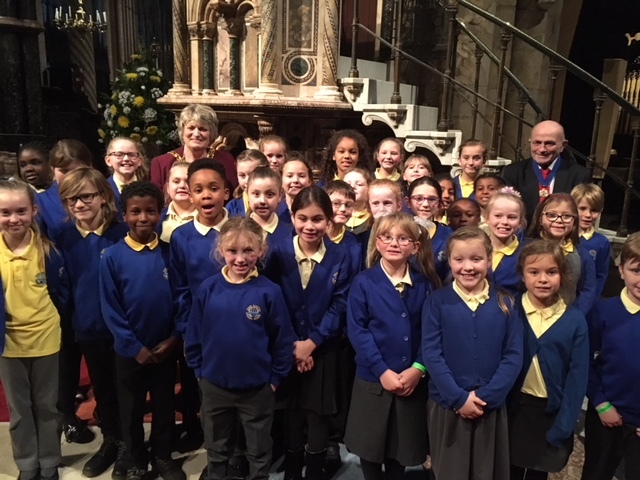 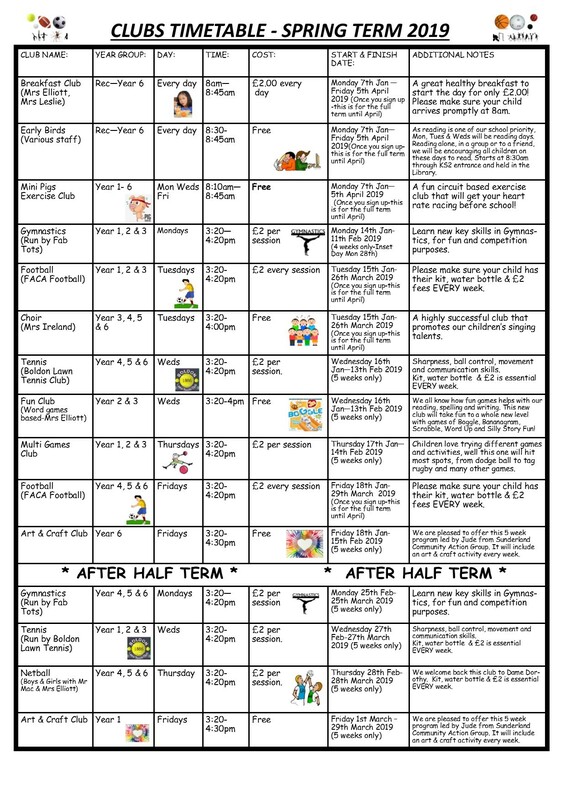 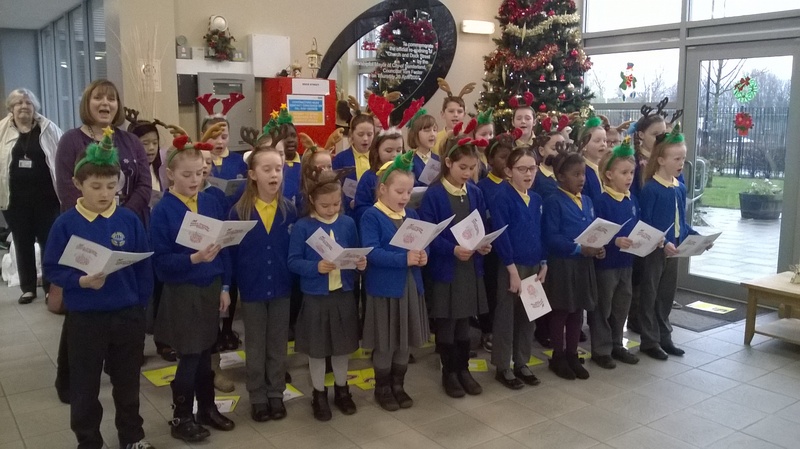 The choir are very talented and practise every week, Mrs Ireland runs the club for the children from Years 3-6 every Tuesday with Mrs Lavelle every Thursday for children from year 1-2. 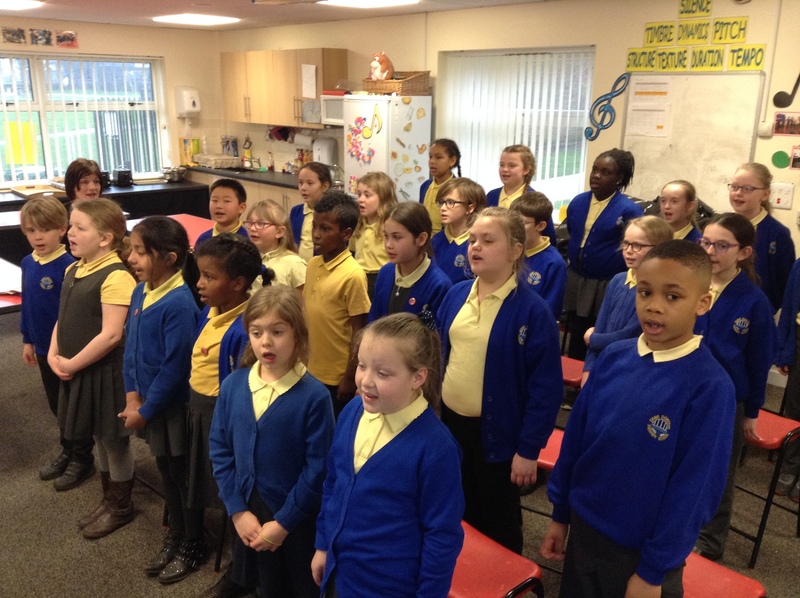 The children enjoy learning a range of songs, everything from traditional music to current pop songs. 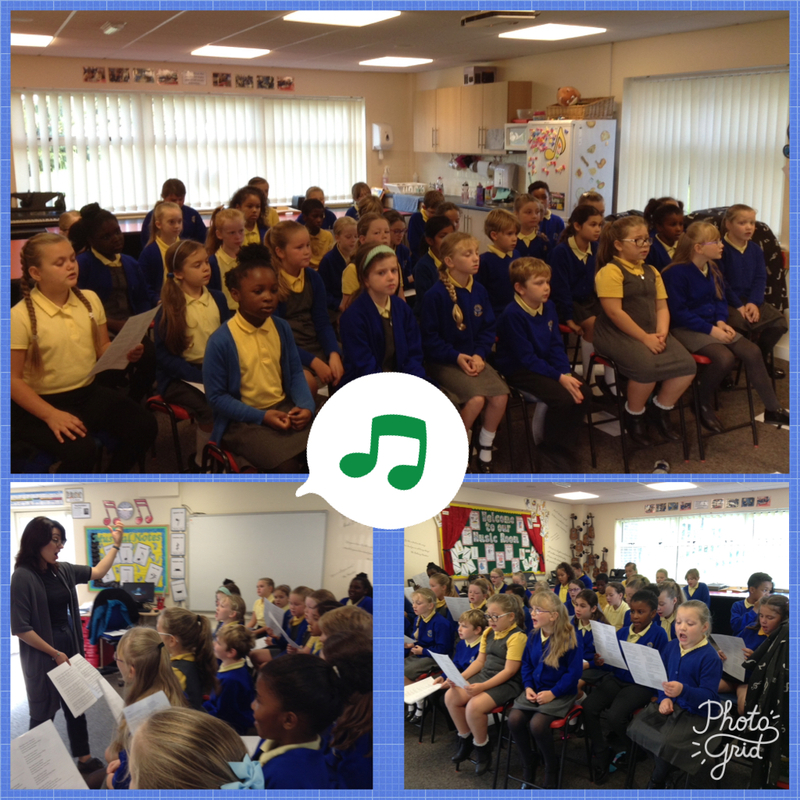 They enjoy the challenge of part singing and singing in different languages. 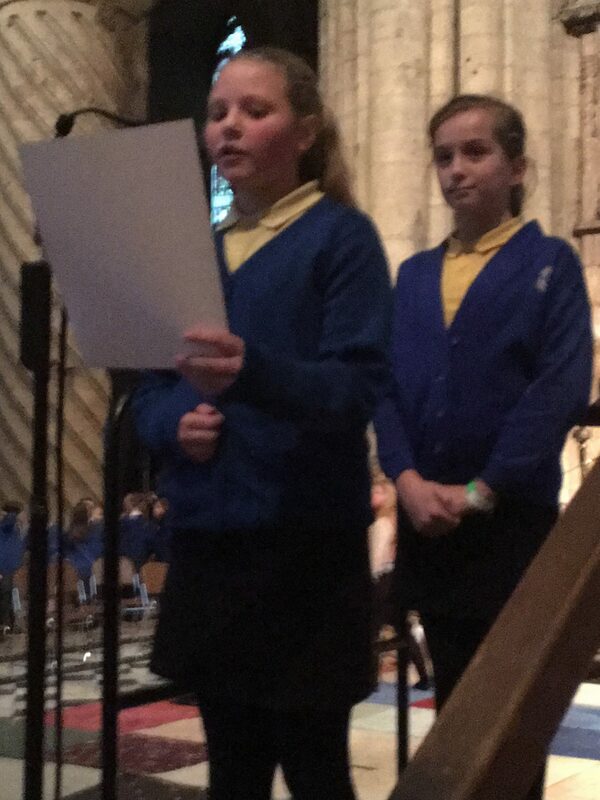 Being a choir member gives the children opportunities for out of school activities. 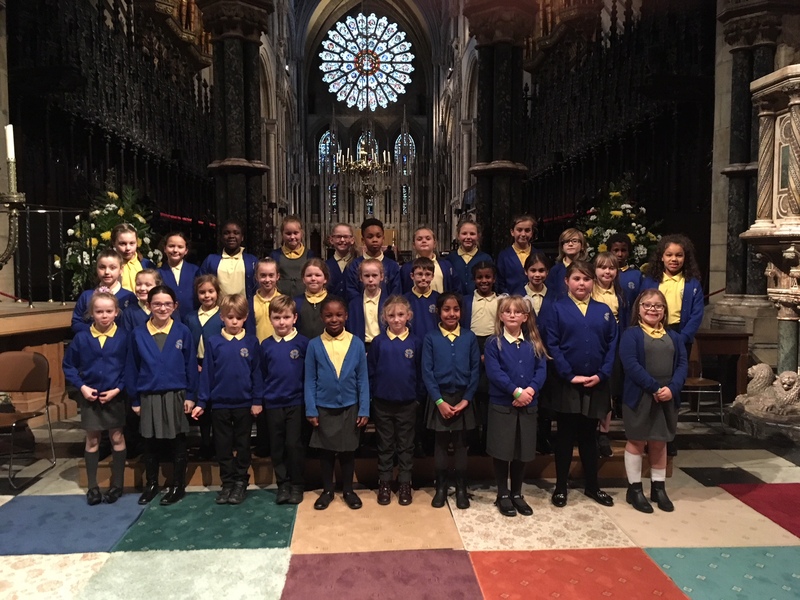 In recent months they have taken part in the Durham Cathedral Choristers Outreach Programme and sang in the beautiful cathedral surroundings. 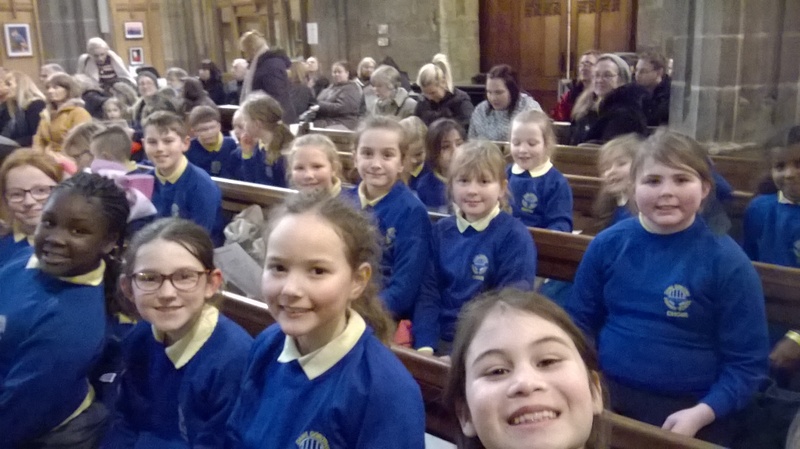 It was very exciting to be part of The Big Sing in Gateshead too. 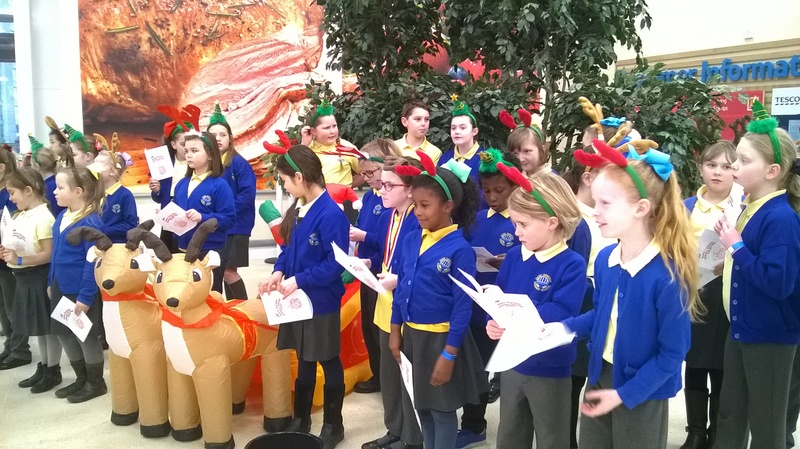 They perform in our local Tesco at Christmas and in the local community too. 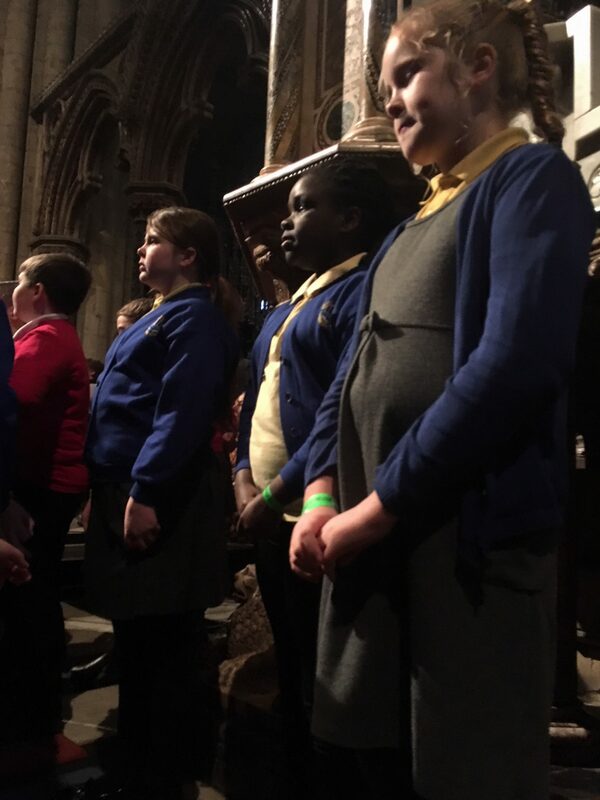 In the summer of 2018 they have the chance to sing as part of the Tall Ships Festival in Sunderland.